Writing of standards used for component testing developed by ASTM International (ASTM). Development of performance specifications developed by the National Fire Protection Association (NFPA), the American National Standards Institute, Inc. (ANSI). Contributor to the development of standards used for military clothing and equipment — MIL SPECs, Commercial Item Descriptions (CIDs), Purchase Descriptions (PDs) - used by the Federal Government. Atlantic Thread supplies customers in all 50 states of the United States and 23 countries in the Pacific Rim, Mexico, Latin America, Canada, Middle East, Africa, and Europe. Atlantic Thread is recognized internationally as a "supplier with solutions" to technical problems related to specialized sewing. We can also be of direct assistance to you in any one of three languages: English, Spanish and French. We believe that Total Quality Performance means understanding who the customer is, what the customer's requirements are, and how we can meet the customer's needs with quality products and services which are delivered in a timely manner. Who we serve: Being a company built on reliability, technology and service, Atlantic Thread can provide information to new or current customers that may call with questions on topics or products they may not know much about. What we do: Atlantic Thread is a company specializing in high performance products; we helped a customer become a Certified Independent Provider for cleaning, repairing, and inspection of Fire Department Bunker Gear meeting all NFPA requirements. "I recently became a customer and what great people to help me with things I didn't know much about." "You were especially helpful last year in helping us become a Certified Independent Provider for cleaning, repairing, & inspection of Fire Department Bunker Gear meeting all NFPA requirements." How we support what we stand for: Atlantic Thread is always sufficient in providing information requested by customer and compliance with the delivery of the product provided. Atlantic Thread is ISO 9001 registered. We are committed to the delivery of components and services that contribute to both our customer's manufacturing processes and the performance of the products they offer for sale. 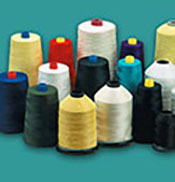 The CRAQ-SPUN® sewing threads supplied by Atlantic Thread & Supply Company are certified by Underwriters Laboratories Inc® (UL) as recognized components for use in NFPA Certified protective clothing. Learn more about the use of our products in fire fighting. Atlantic Thread was founded in 1980 by company president Vincent Diaz, an industry leader whose career in the thread and yarn business spans more than thirty-five years. 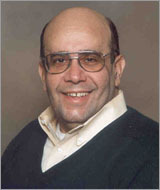 A native of Baltimore, Maryland, Vince began his career after military service in Vietnam. Today he leads an organization that serves textile manufacturers across the country and around the world. In addition to participating in the writing of both military and civilian performance standards, Vince has experience in three ASTM committees: D13 on Textiles, F23 on Protective Clothing and F18 on Electrical Workers Protective Clothing. For more than 20 years, Vince has been a member of the NFPA Wildland Fire Fighting Protective Clothing Technical Subcommittee. Vince was active in helping mattress manufacturers prepare for the federal standard on mattress flammability (16 CFR 1633). Vince assisted with the development of several ASTM test methods that measure how FR components used to manufacture mattresses will perform when exposed to an open flame and high heat tests. Your Name © 2013. All Rights Reserved.